It's the one-egg yolk recipe you're going to need to remember. 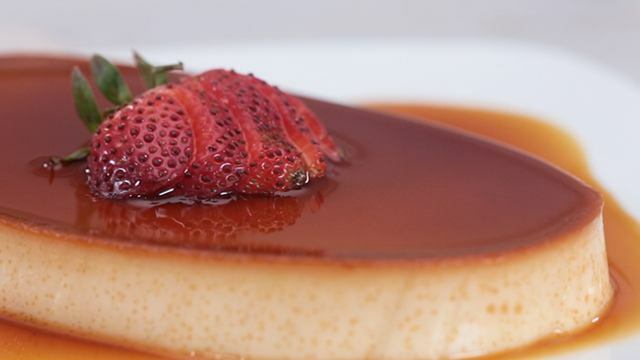 Let's admit it: some of us can finish off a big serving of leche flan. That's why this recipe is genius. 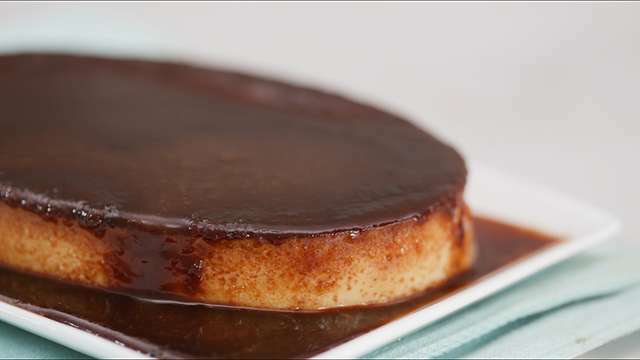 Not only is this leche flan recipe the perfect size for creating an entire individually-sized llanera of flan, but it's also just as creamy, silky, and delicious as a full-sized version. Best of all, it uses up only one large egg yolk so you don't have to use up more eggs than you're willing to use. The measurements are perfectly accurate for a 3-inch diameter mold, but if you find that you want more sweetness in your version, simply replace 1 tablespoon evaporated milk with condensed milk and that should do the trick. 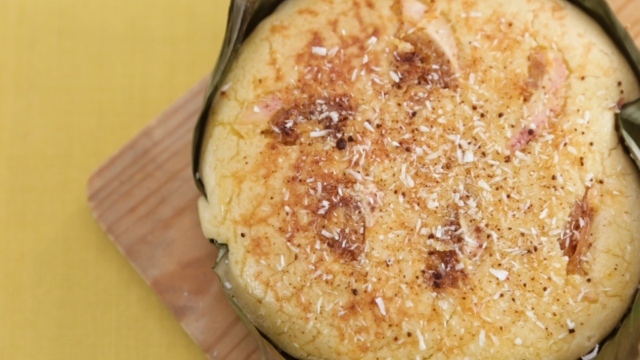 We promise: this is the perfect sized leche flan recipe for one, and you won't need to share. 2 Place sugar into a 3-inch round llanera. Using tongs, place sugar-filled llanera over a low flame. Heat and let the sugar melt and begin to brown, turning while swirling the melted sugar in the llanera until the entire amount of sugar is completely melted. The sugar should look transparent through the amber color and no sugar should be visible. Set aside to cool completely. 3 In a small bowl using a spoon or spatula, mix egg yolk and condensed milk together. Add and then stir in evaporated milk until well mixed. Strain egg yolk mixture into the caramel-lined llanera, removing any bubbles that formed on top, and then cover with foil. 4 Place in the preheated steamer and cover. Let steam for 20 minutes (or until the custard is set in the middle when the llanera is gently jiggled), then chill overnight. 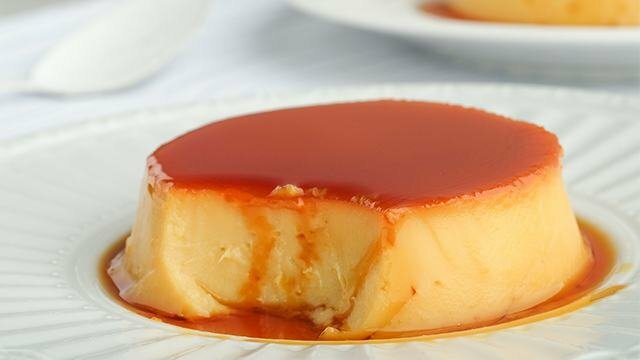 5 When ready to serve, run a knife around the entire flan between it and the llanera. Place a plate over the llanera and quickly flip over. Remove the llanera, letting the caramel drip onto the flan, and enjoy.